I’m typing this on a new computer. What’s more, I’m typing this from a new flat. And I’m typing this with a steaming, fresh, agreeably pungent cup of brand new coffee beside me, although that one is possibly less newsworthy. If I was still working my way through the same old cup as April 13th, when I last updated this sadly cobwebby corner of the Hivemind, then I’d have a reason to blog. And also a reason to visit a doctor. Was it really April 13th? I have curled into a ball, haven’t I? 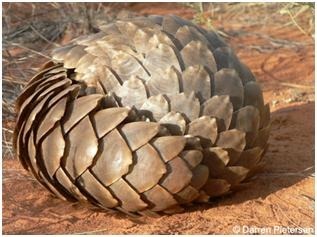 I’m a veritable pangolin. I’m an Arandillo. More new things: I’m about to start a new course. The MSc (part-time over two years, alongside my pleasant job at Leith library) in Literature and Modernity at Edinburgh University, where I will learn all about literature and modernity and emerge as the smartest person ever and be elected Pope. Pope Aran, the masses will say, gazing upward through the flickering candles, can you tell us all about Literature and Modernity again? That story is our favourite. And I will smile benevolently and say yes, my lambs, my little wanderlings, yes I can. Hence the new laptop. My poor, wonderful, doughty little Acer netbook, bought second hand for $50 AUD, was finally dying under the cold dead hand of time, and clearly wasn’t able for complicated postgraduate-student tasks like writing an essay AND listening to Pantera AND checking how to spell dactylic hexameter*, all at once. So I went on a browse round town to find out the prices of not-completely-terrible laptops, and on the “returned” shelf there was an actually-pretty-decent laptop at the price of a not-completely-terrible one, so I pounced. Do pangolins pounce? Do Popes? When I was setting the new Thinkbeast up, Windows 8 required I give it a name. 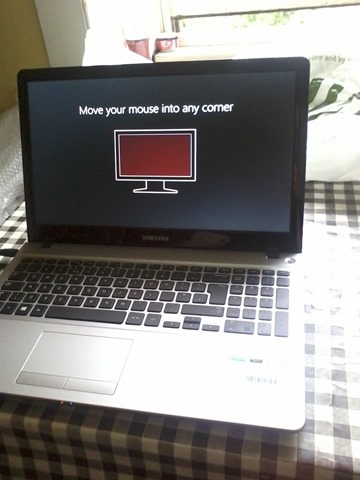 Meet Dr Prunesquallor, the laptop. It is nice to have a big screen and one of those pleasantly clackety not-quite-close-enough-to-a-Macbook-keyboard-to-infringe-anyone’s-copyright keyboards. Clackety clack, don’t talk back. No, wait. Do! As in with the new, so out with the old. This morning I filed my final ever article for the company who employ me to write blogs and news stories about the private rental sector. It was a handy job in a year fraught with budgetary angst, but I won’t be sorry to see it go. I went in at first being delighted that I was to be paid to write. And yet…a musician may love playing her instrument (let’s say …the harpsichord), but give her a job playing the Match of the Day theme over and over, a hundred times for a dollar, and it won’t take long to become a chore. Writing is an instrument, and it’s a turgid errand to stand and play turgid music. I profess a lack of interest in the business end of the rental market. Houses should be free, man, like love and literacy and lunches, and library books. So I gaze** out of the window of my new flat. Nice spot, next to the meadows, beside that green bookshop with the old comic books in the window, top floor. Drop by if you’ve got the time. And I think to myself: new things are here, and new things are coming. And maybe the best of them will become old things, and be kept. * Though I would like it noted that I managed this here on the first attempt. Perhaps my purchase was a little impulsive. ** To be honest, it’s not so much a gaze as a meandering glance. But gaze sounds better, so let’s all just pretend I’m gazing.